I hope you enjoy Sweet Darkness as much as I do. I think it is the perfect summation of all I have spoken about over the month and very apt as we move further into the dark winter. 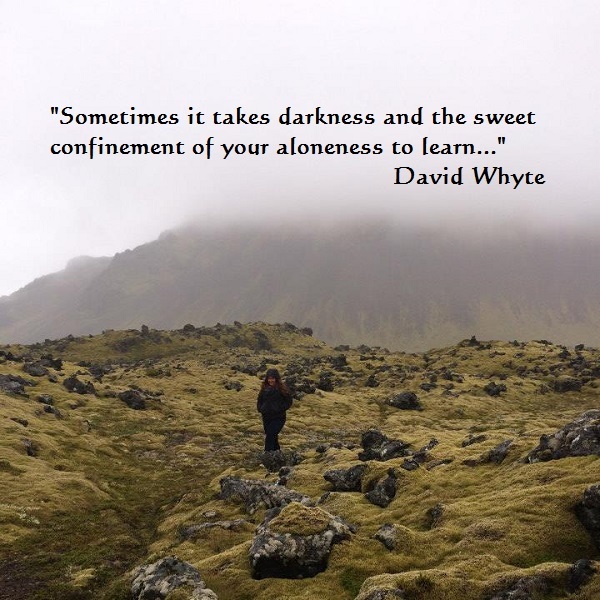 This entry was posted on November 27, 2014 by laura kilty in Inspiration and tagged David Whyte, November, poetry, Silence, Stillness, Sweet Darkness, Winter.